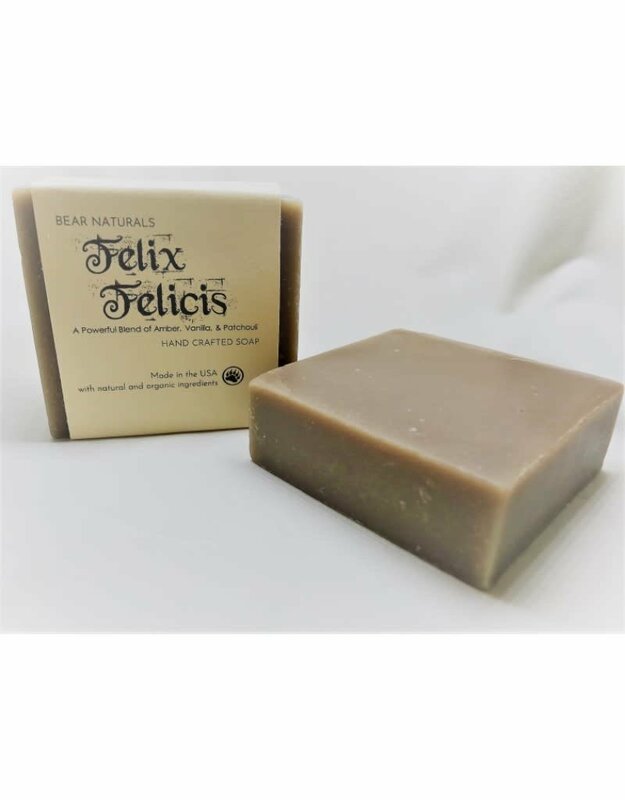 Get an all natural clean with Bear Naturals Handmade Soap. Feeling lucky? After using this soap, you might! With a mild orange scent and mixed with notes of patchouli, amber, and vanilla, this soap has a rustic, forest-y smell. Organic Shea Butter, Coconut, and Olive Oil leave your skin soft and moisturized.